If 40,000 people donate $250, we can raise $10 million and start the contruction right away!! 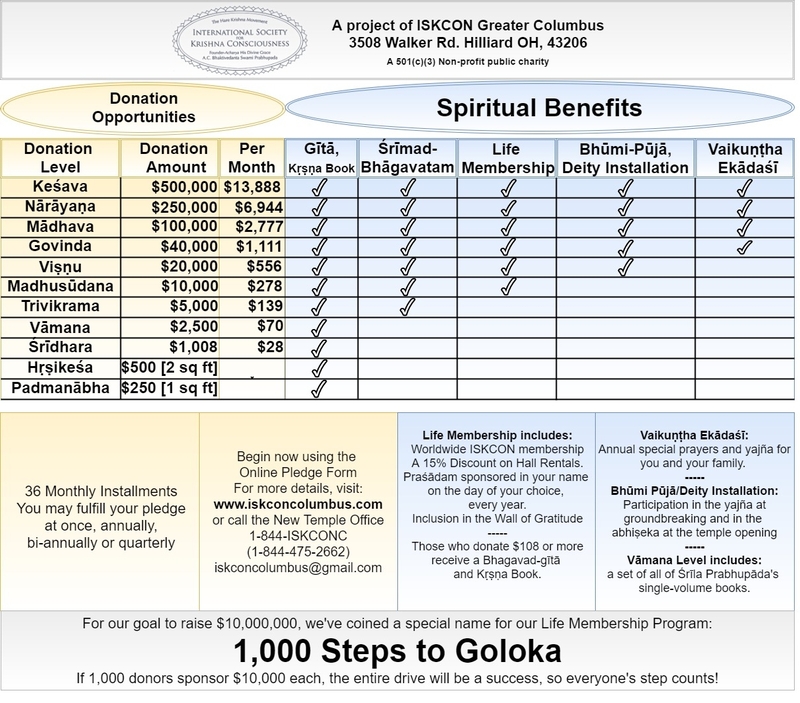 Choose Donation level Madhusudana ($10,000) and receive life membership: Worldwide ISKCON membership. A 15% discount on Hall Rentals. Prasadam sponsored in your name on the day of your choice every year. Inclusion in the Wall of Gratitude! You can select an appropriate option to opt to pay once or in 3 years or in 2 year. Refer to the details below to see the payment amounts based on your selection. Where do I get Routing Number, Account Number details ? The digits following the routing number.